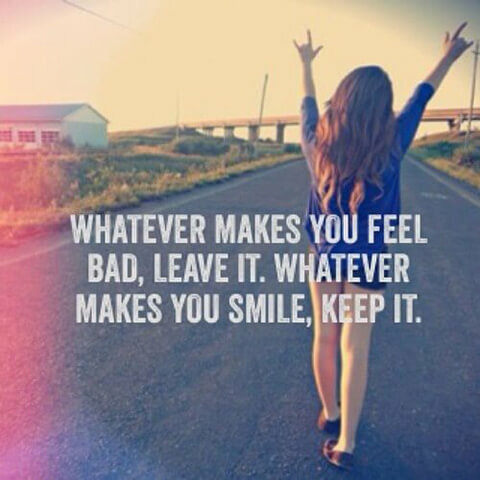 Daily Inspiration: Whatever makes you feel bad, leave it. 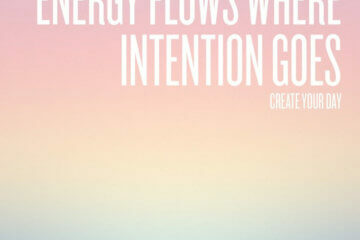 IFB » Daily Inspiration » Daily Inspiration: Whatever makes you feel bad, leave it. When it comes to blogging, we're overloaded with messages, content, pitches, you name it. It's easy to feel like you're being pulled in a million different directions. So how do you deal? I used to read every blog that I found out about, or thought was the “cool” blog to follow. But they didn't exactly make me feel good about myself or my blog, and they didn't speak to my lifestyle. I would take any opportunity that came along, even though I didn't feel good about it exactly. I would participate in things like “Follow Friday” because that's what I thought I was supposed to do. It turned out I got so overloaded with things I wasn't that crazy about, I didn't have time to really spend time on and with the things that made me smile, that made me happy about blogging. And it inevitably led to burn out and cynicism. But as soon as I let those “bad” things go, I became SO much happier and had more energy to do what I truly loved. So from my own personal experience. If something is making you feel bad. Leave it. Stick with the things that make you smile. Such a great message, Jennine! That quote is perfect. I find too that as I get older, I become more sure of myself and what I want out of life. I know the things that enlighten me and make me happy, and the things that drain my energy and wear me down. There’s no time to deal with the things that are irrelevant. This post is a great way to start the weekend with! 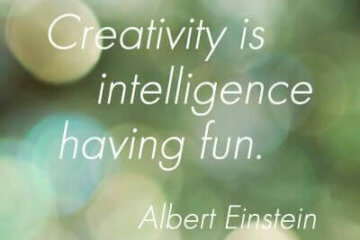 Enjoy yours!